Do you consider yourself a healthy person? Maybe you take vitamins daily, eat a balanced diet of whole foods, or even buy only organic. That’s great, but you might be overlooking the biggest factor to your health: the water you drink. It’s recommended that we drink 8 glasses a day and maybe you always hit that mark, but have you ever stopped to think about what’s in the water you’re guzzling down and giving to your family? A recent study found contaminants that can be harmful to health in tap water of every state across the country. Shocking, right? Even more so is that one in four American’s tap water is unsafe or has not been properly monitored for contaminants in accordance with federal law. While you can’t control what’s in your tap water, you can take action to protect you and your family by buying a filter. However, it’s important to know that not all water filters are created equal. That’s why you need ZeroWater, the filter that gets more out of your water. While other pour-over filters on the market use two-stage filters, ZeroWater utilizes a five-stage dual ion-exchange filter that removes 99.6% of total dissolved solids (non-organic impurities) from water. It’s also one of the only pour-over filters that is NSF certified to reduce lead. If you want to make the health of you and your family a priority, the answer is easy. Choose ZeroWater. 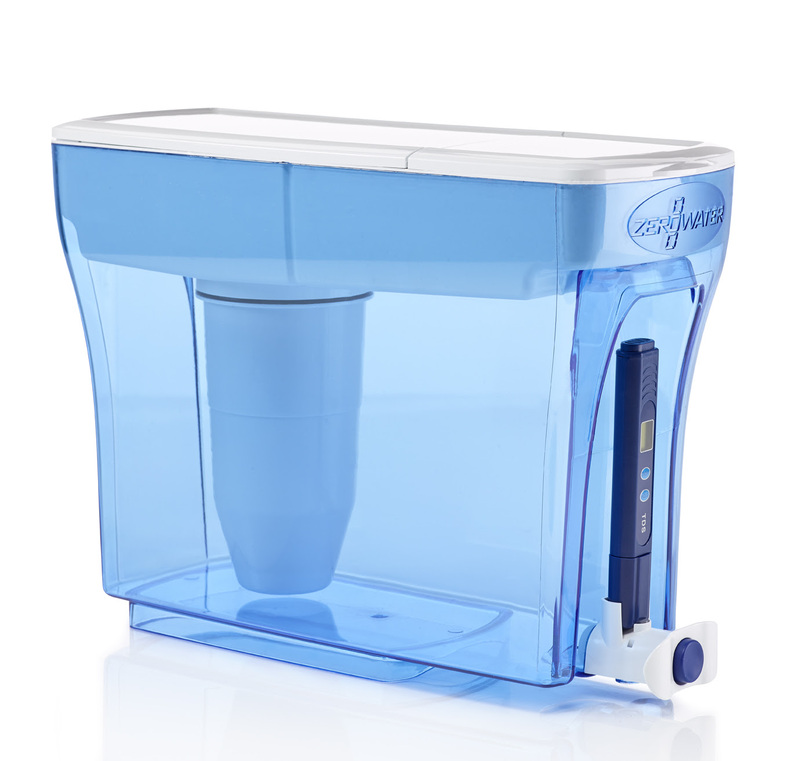 ZeroWater’s 23-Cup Dispenser is the largest capacity dispenser on the market and features a convenient push-to-dispense spout. Plus, it fits perfectly on a refrigerator shelf giving you and your family easy-access to clean, pure water at all times. One of you can win one of these systems as well, feel free to enter by using the RC code below. Good luck! Ends Jan. 3, 2018. I can’t even lie here, I would love to absolutely keep this for myself and my family! I would give this to my mom. She needs to drink more water! I would like to give this to my brother .He has hard water where he lives. I’d keep this for myself. I need to replace the old pitcher filter I use. I would give it to my friend John. We’re on well water, so that puppy would stay right here, in my house. So excited! I would keep it for our family to use. I would keep it for our family. I would give it to my brother since I mostly use a water cooler now. I would give this to my mom, she would love it! I would keep this due to we just moved into a house that has well water and we have to filter ir for us and the animals. I would keep this and use it for my family. I WOULD KEEP THE DISPENSER,4 My Husband And I.We Need 2 Drink More Water !!!! I would keep this for my family to use. I would give this to my boyfriend. I would keep this and use it with my family. I would keep it for my family. It would be useful. I would totally give this to my roommate, then I can use it as well. I would give it to my best friend. She doesn’t have the best water and goes thru 2-3 cases of water a week. It would definitely help save her money! My boyfriend he’s a bottled water addict! I will have to be greedy and keep this for myself! I’d keep it for myself. I don’t want to give it away! I would use this and keep from my own family. I would keep this for ourselves….our well water tastes yucky! Thanks and God Bless! I would give this to myself. I love it. Would keep it for my family. Would be great for coffee or tea as well. I would give this to my daughter in law because they don’t have a water dispenser on the door of their fridge so this would come in very handy for a family of five. I would give it to my mother <3! I would probably use this myself. I would give it to me, I need it! i would keep it in my fridge. i want to drink more water in 2018. I would keep it I hope it would entice my family to drink more water. I would keep this! We go through an insane amount of water and I am freaked out by tap water! This would be awesome to have! Honestly I would keep it for myself. I really need this. I’d love it for my family. I would keep this ZeroWater dispenser for myself to filter our city water. Thank you for the chance to win. happy holidays! I’d keep this for myself, for my family to use. Thanks. I would love to keep this for myself and take it to work. I would keep it! We go through SO much filtered water here! I would keep this for my family. We drink a lot of water and I usually buy bottled water. Our water in the town I live in is horrible. It often have sediment in it and I will not allow my family to drink it. I would keep this for us to use. I would give this to my son. He is always drinking water. I would keep this for myself, I love water!! I would keep this for my hubby and I, we drink so much water it only makes sense to filter it. I would keep this for my family. We drink a lot of water. Thanks for the giveaway! I would give it away, but not sure to who yet. I need to start drinking more water. I would leave this in the fridge! 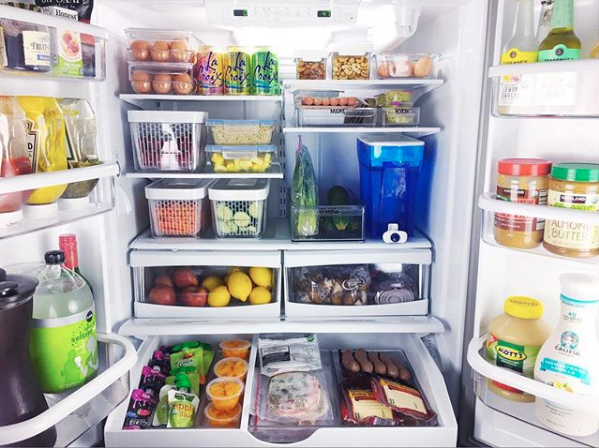 I’d love it for our fridge! I would definitely be keeping this for my own refrigerator! I would give this to my friend because I already have a water filter. I would keep this for us to use. Our water is terrible here in Kissimmee. I would keep it, it would be for the family. I would like this for myself. Our well water tastes better when it’s filtered. I would keep it for my family. We are trying to lose weight, and I suspect that drinking more water would help. I would keep it myself, as I like to drink lots of water each day. I would give this to myself. I would give this to my mom. The water at the house doesn’t taste too great and this would save on buying water bottles every month. I would give this to my son and his wife. I would give to my ex-FIL. He uses brita pitcher now. I would keep it for our campsite, we need it there.